The Ninth U.S. Circuit Court of Appeals yesterday revived a Death Row inmate’s claim that a prison guard illegally read his confidential letter to counsel. 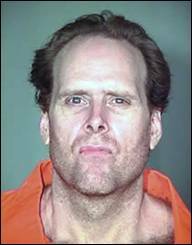 Scott Nordstrom, sentenced to death more than 16 years ago in Arizona, alleges his Sixth Amendment right to counsel was violated in 2011 when a guard read a letter Nordstrom had written to his court-appointed lawyer and clearly marked as “legal mail.” According to news accounts, Nordstrom and another man killed multiple victims in two Tucson robberies staged two weeks apart in 1996. Nordstrom argued that the guard had gone beyond scanning the contents of the letter for references to contraband or safety issues. U.S. District Judge David Campbell, screening the complaint prior to an answer being required under the Prison Litigation Reform Act, dismissed Nordstrom’s lawsuit for failure to state a valid claim, but a divided three-judge panel of the Ninth Circuit reversed yesterday and sent the case back to the district court. Prison officials may “inspect” outgoing mail but cannot “read a confidential letter from an inmate to his lawyer,” Judge Barry Silverman wrote for the majority. The reason for requiring that an inmate be present when his legal mail is opened is “to prevent officials from reading the mail in the first place,” the judge wrote. “Nordstrom’s allegations that prison officials read his legal mail, that they claim entitlement to do so, and that his right to private consultation with counsel has been chilled state a Sixth Amendment claim,” Silverman wrote, adding that Nordstrom also had made a proper claim for injunctive relief related to this policy. Judge William A. Fletcher concurred in the opinion. Writing in dissent, Judge Jay Bybee argued that the majority had misinterpreted Wolff, and that Nordstrom had failed to show he was injured in any way by the single incident. The case is Nordstrom v. Ryan, 12-15738.